You’ve come all this way to the southernmost part of Victoria to experience one of Australia’s best walking trails. While you’re here why not experience some of this area’s other attractions from different vantage points. There are lots of options available. 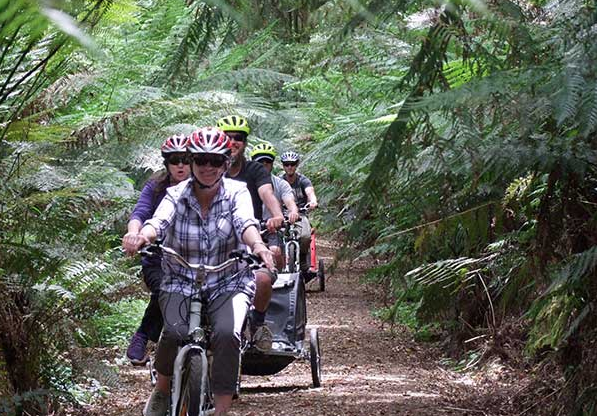 Otway e bikes are located at Beech Forest, high on the ridge of the beautiful Otway Ranges. Just a short drive from the Great Ocean Walk and nearby the Otway Fly, Otway e bikes are power assisted and will enable you to experience this beautiful area on a bike which requires little or no effort. You can keep all your energy for walking. 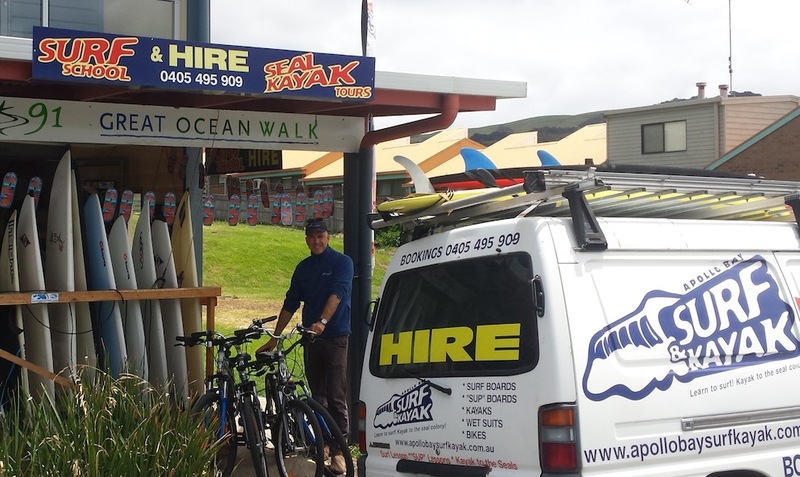 Apollo Bay Surf and Kayak is your one stop shop in the Bay for all fun things to do. Always wanted to learn to surf? 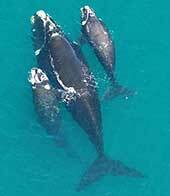 This business has excellent teachers and Apollo Bay is one of the best spots to learn. Marengo point on the edge of the Bay has a permanent colony of fur seals. Get up close and personal on a kayak tour. Also available for hire are body boards, wetsuits, snorkelling equipment, stand up paddle boards and mountain bikes.